An Opinion On Sports: Miguel Angel Jimenez: The Shot of the Tournament! The infamous 17th hole at St. Andrews requires skill, imagination, and just plain out luck. 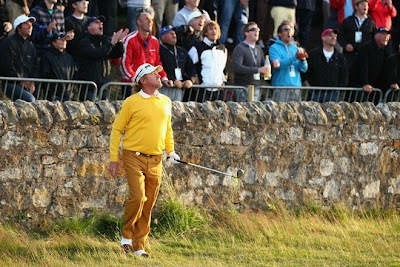 On Saturday of this year's British Open, Miguel Angel Jimenez found himself literally between a rock and a hard place. His ball was stuck close to a stone wall, which virtually left him with no shot. Maybe no shot, but nevertheless an option or two. 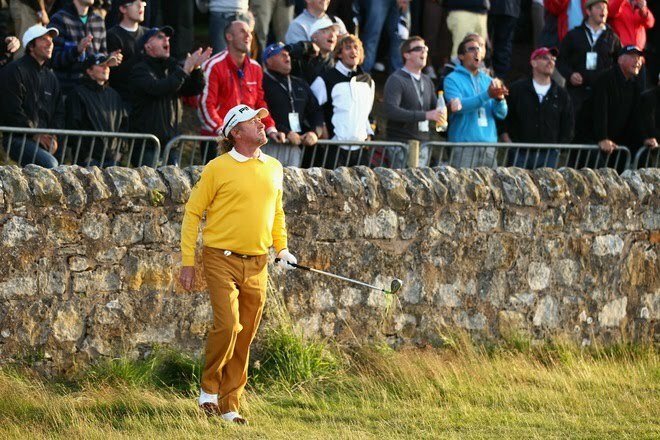 With his back to the green, Jimenez ricocheted his ball off the wall and miraculously onto the green. The fact that he went on to double bogey the intriguing 17th is of little consequence when the shot he struck was the shot of the tournament.